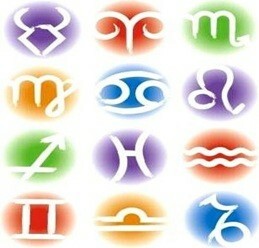 There are a lot of benefits when reading the horoscopes and we are going to mention you some, so you can have them in mind and get the benefits of astrology. Let’s see them. – Get important information for your life: with reading the horoscopes, you get a lot of information that you can use to improve your life. There are different horoscopes that you can read and all of them will focus in different aspects of your life. The daily horoscopes will offer you all the information you need for you every day and it will speak you about health, love, work and luck. The weekly horoscopes are perfect to have an overview of the week and know some general information. The same happens with the monthly horoscopes and the yearly horoscopes. – Easy to read: you can read the horoscopes in a couple of minutes so you will not have to lose a lot of time with them. – Make your own moves: with the information that the horoscopes offer you, you will be able to see the situations that are coming in your life and you will be able to make your strategies or movements to improve them or enjoy them even better in the case of good news. – Love is important: love is very important in our lives and with the horoscopes, you will be able to know if love is about to come to your door or if you can have arguments with your partner. In this way, you will be able to prevent them from starting and thus, have better time with this person. – Make important decisions: when we need to make decisions in our lives, it is important for us to make them the best so we can be on the right track. Horoscopes are going to let you know which the chances of success in your decisions are as well as if you are doing well with them. Now that you know the benefits of reading the horoscopes, it is time for you to start reading them. Read them carefully and think about all what they are saying to you. There is a lot of information that you will be able to get out of them if you know how to interpret the messages. Also, it is important for you not to leave aside any message of them and because of this, we recommend you to start reading the yearly horoscope for your sign. When you have it clear, then it is time for you to move to the monthly ones and the weekly ones, so you can see the information that is more close to the time being. Once you have this information clear, it is time for you to move to the daily ones and get the best of your days.